It’s no secret that eye examinations are the best way to keep the health of your eyes in check. Regular eye examinations ensure that conditions such as glaucoma, cataract and macula degeneration can be detected at an early stage and appropriate management discussed. 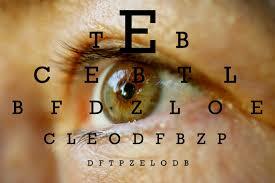 Our comprehensive eye examinations are approximately 45 minutes in duration. Our comprehensive eye examination includes digital retinal photography, the capturing of high resolution images of your retina. There is no extra cost for this part of the examination. We also have a Zeiss Cirrus Optical Coherence Topograher which achieves high resolution three dimensional retinal images. We will recommend this investigation wherever your optometrist has a concern for your retinal health including glaucoma and macula degeneration risk. Aside from our regular eye examinations, we are also designated examiners for Level One NZ Police, Civil Aviation Authority, Maritime NZ and the NZ Defence Force. Request an appointment via our website or contact us.